A powerful car bomb exploded in the centre of Afghanistan’s capital on Wednesday, sending clouds of black smoke spiralling over the centre of the city in an area near the presidential palace and foreign embassies. Several people were killed and wounded in the blast near the fortified entrance to the German embassy, said Basir Mujahid a spokesman for Kabul police. A car bomb near the German embassy, but there are several other important compounds and offices near there too. The explosion shattered windows and blew doors off their hinges in houses hundreds of metres. 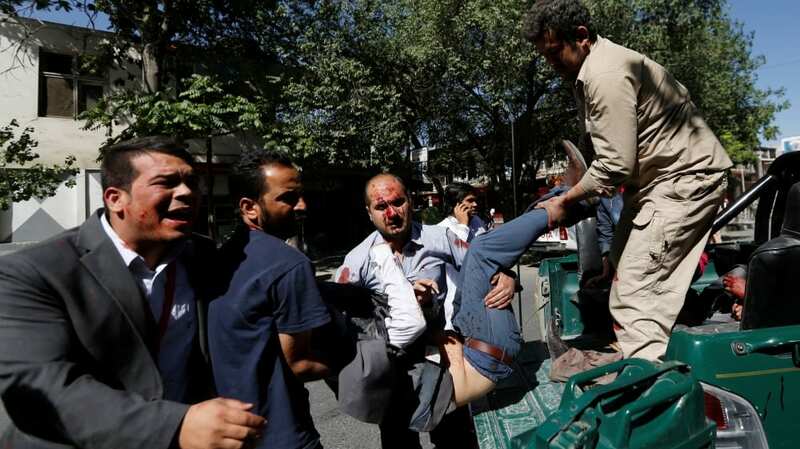 Afghan officials confirm that at least 60 people wounded in a suicide bomb attack in Kabul’s diplomatic area. No group has yet said it carried out Wednesday’s attack, but last month the Taliban announced the start of a major spring offensive, saying their main focus would be foreign forces, targeting them with a mix of conventional, guerrilla, insider and suicide attacks. A recent Taliban attack on an Afghan army training compound in the northern city of Mazar-e Sharif killed at least 135 soldiers and led to the resignation of the defence minister and army chief of staff. The so-called Islamic State in Afghanistan has also been active, saying it was behind a suicide bomb attack this month on a Nato convoy that was passing the US Embassy in Kabul. At least eight civilians were killed.